The blurb made it sound cute, and the cover is adorable. Frannie Brisbane knew it was an impossible scheme, but unless she went through with it, the daughter she had given up thirteen years ago and who now wanted to visit, would discover that Frannie had painted a very different picture of her life in the letters they’d exchanged. Frannie’s close friends rally around her, and next thing she knows, she is living in a mansion and wearing designer clothes. The only thing missing is a husband. Confirmed bachelor, Clay Coleman, has ulterior motives when he agrees to play the role of loving husband, but Frannie, who nursed a crush on him for years, fears she is flirting with danger in their role of let’s pretend. But Frannie and Clay aren’t the only ones keeping secrets. Sooner or later, the truth comes out, exposing everyone involved. Can Frannie ever get past her hurt when she discovers the truth about Clay? 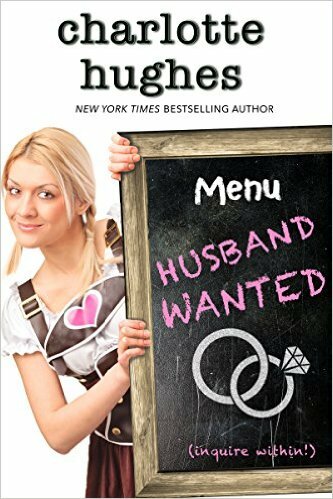 There's lots to like about Husband Wanted. First, the adorable cover. If I was in the mood for a contemporary romance, the cover would definitely make me pick this one up for a closer look. I liked that Clay and Frannie are brought together in this wild scheme to pretend Frannie's wealthier and more settled in life than she really is. The downside is that they're trying to fool Frannie's daughter, whom Frannie gave up for adoption at birth, thirteen years ago. I liked that Frannie oscillated between being amazed and impressed by the 'rich' lifestyle, and feeling wildly out of place within it. There is definitely a certain Cinderella quality to the tale, complete with makeover. What I didn't love about the book was the dialogue. Sometimes it felt really stiff and formal, others trying too hard to be unpretentious with "folksy wisdom." They made me cringe, every single time. Just not my cup of tea. I also thought that Frannie's daughter often spoke with more maturity and formality than a thirteen-year-old should. The dialogue was often laboured, to spell things out, and didn't flow naturally as I read it. I also thought that the intimate scenes were a bit lacking. I would have rather had a true fade-to-black then something that felt rushed. I did find that the romance developed unevenly for me, and I think Clay falling for Frannie was on the weaker side, as it didn't seem to develop alongside the story. Husband Wanted wasn't my favourite contemporary romance. There were a few issues with dialogue and the development of the romance, but there was also this big personal preference problem around the inclusion of some folksy cliches.